Westlake Village provides a full range of choices for today’s seniors. 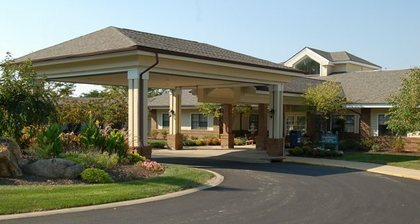 Choosing a senior living community represents a lifestyle choice and we understand that our residents are choosing much more than a comfortable living environment to call home. Our Brookdale community promises Exceptional Experiences Every Day. In choosing this community, our residents have made a conscious lifestyle decision designed to deliver enhanced opportunities for pursuing health and life fulfillment through the exceptional services, amenities and opportunities we offer. And, our residents can rest assured that as their needs change we provide a variety of ancillary services and a Personalized Assisted Living environment that encourages our residents to continue to live as they please where we promise Respect for Individual Preferences. My dad was in the Skilled Nursing/Rehab facility following a week-long hospital stay after a fall in November 2016. He had moderate dementia at that time with sundowning behaviors that became much more pronounced while he was there due to the added confusion of an unfamiliar place and people. They were not equipped to handle this despite their assurance that they often dealt with Alzheimer/dementia patients. When I toured the facility (which is attractive, bright, and clean) before making a decision and asked specific questions about fall prevention, I was assured that they have procedures to minimize fall risk as much as possible. This was an issue with my dad and his memory/confusion problems - he could not remember that he needed assistance to get up and get around (since just a couple weeks before he had been maneuvering independently), and we did not feel that fall risk was minimized as they had assured. Their solution for the cognitive and falling issues was to suggest that WE hire an outside private care agency to provide one-on-one monitoring around the clock while he was there - which we did - at great expense - for peace of mind and because there seemed to be no other options offered. That helped, but we were disappointed it was needed since he was already in a facility that was supposed to be caring for him. Communication and problem-solving were lacking; we felt like WE had to initiate communication.